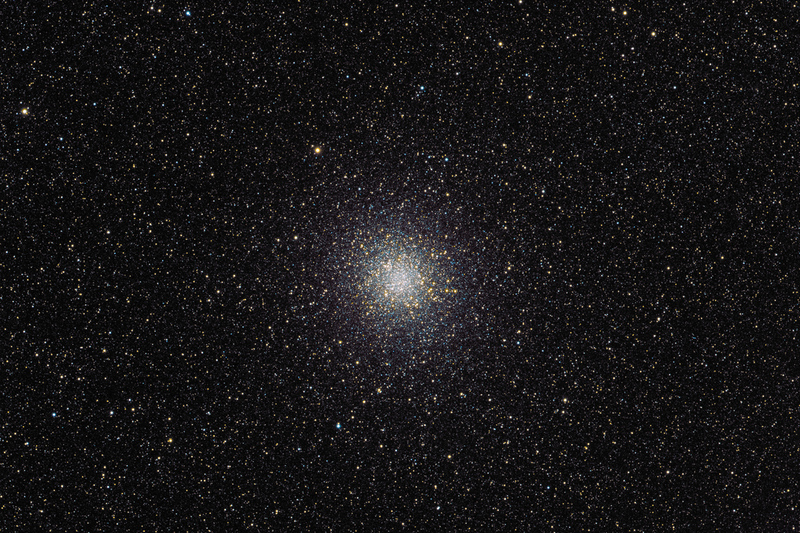 M22 is the third brightest globular cluster in the heavens, with only the southern hemisphere clusters Omega Centauri and 47 Tucanae besting it. It’s also one of the closest to us at only 10,000 light-years distance. Spanning nearly 70 light years across, M 22 has over 100,000 stars contained within its volume. Its galactic coordinates at 09.8923-07.5516 positon it near the galactic dust plane and close to the galactic bulge, resulting in an attenuation of the light we observe from it and a yellowing of that light due to interstellar gas and dust.